Can You Love a Child? We complete our evening ritual as usual; a family hug, prayers, a short story and a goodnight kiss. The bottle is handed over and the night light is switched on to illuminate theWonderland scene that my wife has painted on the nursery wall. We creep slowly out of the room and before we even reach the door we hear the contented sounds of a baby already deep in sleep. This evening is no different to last evening except for one important detail. Last evening the little baby girl gurgling away peacefully was not officially our daughter. Tonight she is. One year ago to the day, a tiny four-month-old arrived at our home for abandoned babies. She had legs like little pins and a smile that could put an end to wars. Her mum had done her very best, but in the end had been unable to cope. The day she arrived I knew. 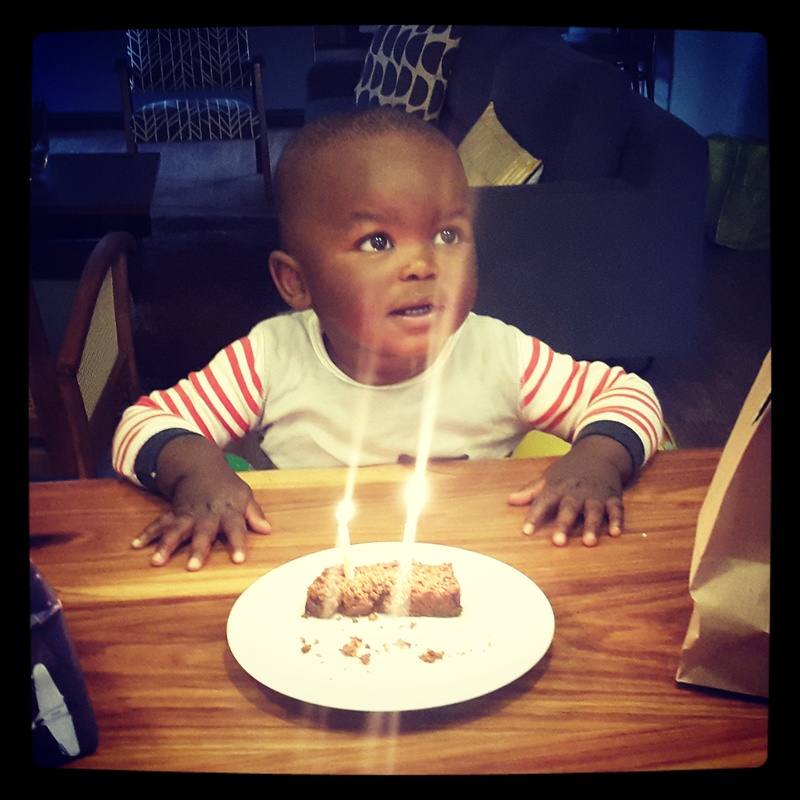 My wife had been to collect our new arrival from the Durban Children’s Court and within minutes of having completed the paperwork, a picture of the baby was sent to my phone accompanied by the somewhat unsettling words: “This is the most beautiful child I have ever seen…” Oh boy! Our contented little family of two was soon to have its numbers swollen. Over the next eight months we watched her little legs fill out and the energy begin to bubble within, as she started to develop and come out of her shell. And as she grew so did our love for her. In the end the question is a simple one: Can you love a child? This question often gets too complicated; can you love someone else’s child? Can you love this child as much as your biological child? 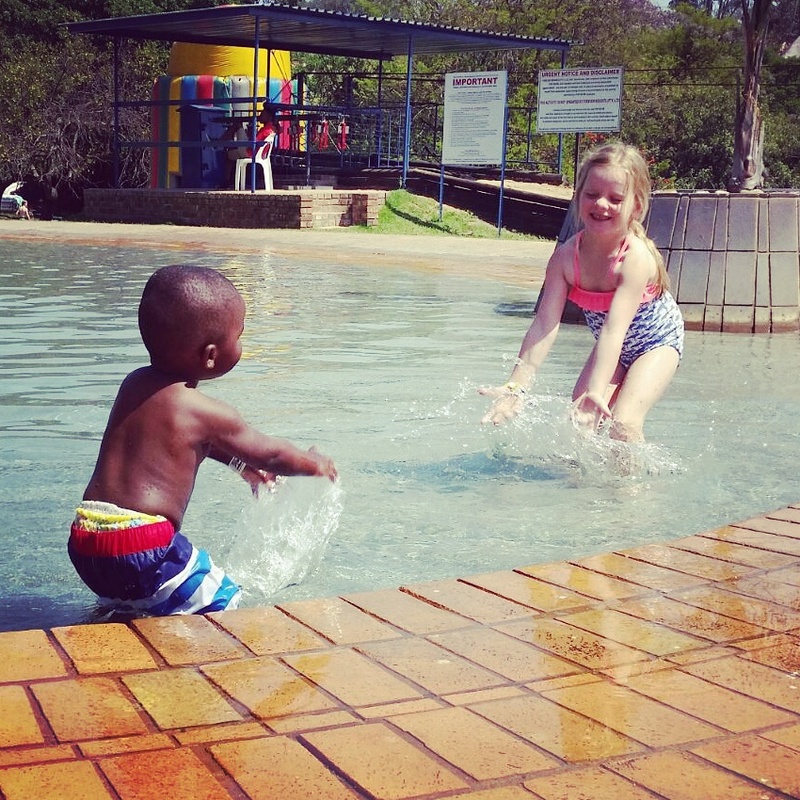 Can you love a child with different coloured skin? 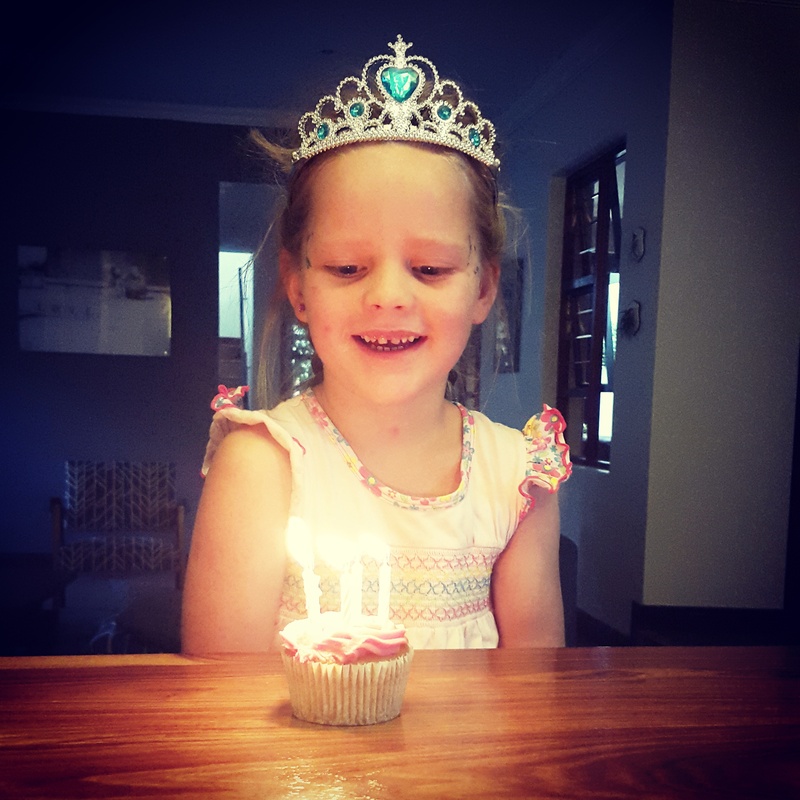 These questions are all superseded by the one simple question: Can you love a child? For those that have heard that adoption is an arduous process, our experience is that if you are eligible to adopt and you work through the correct channels, it should be fairly straightforward and even pleasant. Our adoption – in fact our entire experience of running The Baby House – has introduced us to many exceptional people. In this case the social workers, auxiliary social workers and support staff at Durban Child Welfare deserve our highest praise. Their jobs are unimaginably hard, their case loads enormous and they do not receive the pay or recognition commensurate with the vital role they play in our society. Yet from the point of deciding to adopt, this team processed our case in just five months. I am aware that this is a very personal piece and I do not share it lightly. However, I believe that adoption is one of the most powerful yet underused institutions that we have at our disposal. Adoption takes a young life out of a rubbish bin, off a sidewalk, away from the grief of parents lost to crime or disease, out of the clutches of criminals or away from the evils of abuse, and gives that life a hope and a future. At the same time, adoption creates happy families. Maybe I’m just a new dad blinded by love and delusional from too little sleep, but as things stand, our daughter gives us way more than we give her. She has given us hope and a future too. Adoption must no longer be seen as ‘plan B’ for those who can’t have biological children. Like many others, we have decided to adopt before – or perhaps rather – than procreating ourselves. During the two years that we have been involved with The Baby House, we have handled adoptions to parents without kids, parents with one biological child who wish for a second, parents with two wishing for a third. Adoption is becoming an integral part of family planning. Apart from the impact on the child and her new family, adoption is also part of the solution to many of our country’s most intractable problems. Adoption creates permanence and stability for uncared-for children. These factors are critical in terms of them growing up to be functional members of society. Adoption radically alters the trajectory of the children’s lives, and is hence integral to our nation’s strategies to end poverty, unemployment, homelessness, disease, abuse and crime. 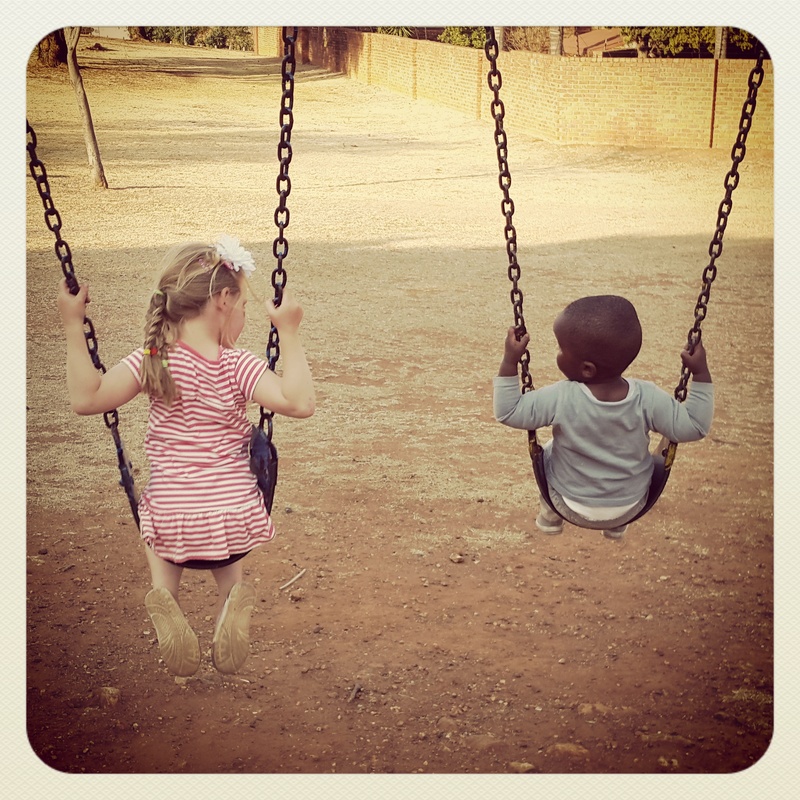 You may argue that it will make no difference to adopt one child when there are approximately 1,8 million South African children who would benefit from adoption. I beg to differ. Recently deceased Apple co-founder and CEO Steve Jobs was adopted. Former President Nelson Mandela was adopted. Jesus Christ was adopted. Writer Charles Dickens was adopted. The list is endless. And the only question that their parents needed to answer was: Can you love a child? They said ‘Yes’ – and the world has never been the same since. For more information on adoption visit http://www.adoption.org.za. This post really resonated with me. Our family is made up in the same way and so we’ve had to deal with a lot of similar situations. My husband and I have two children. Both are adopted. 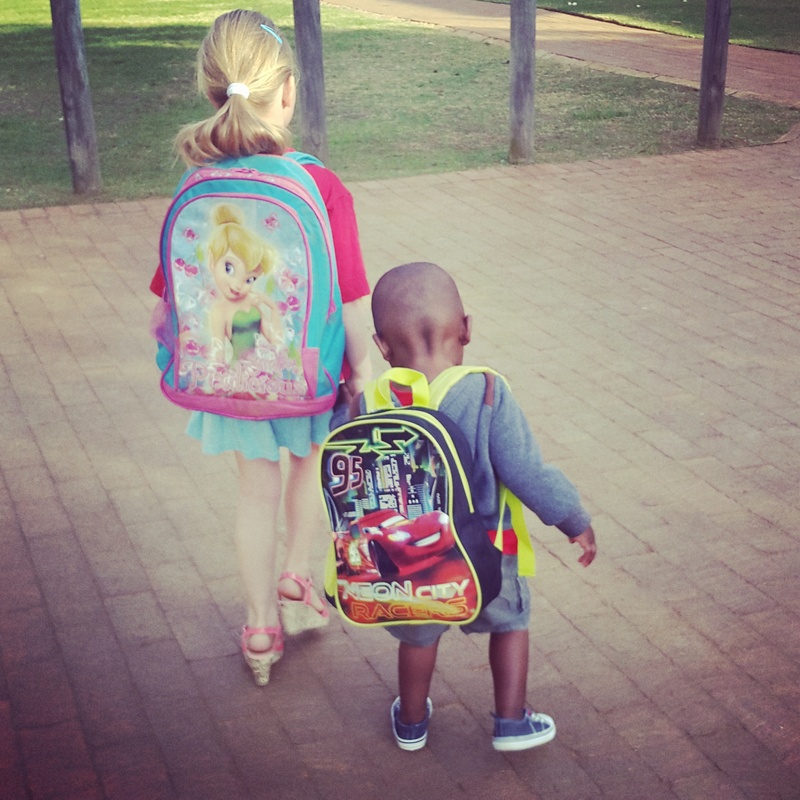 Our daughter is white and our son is black. 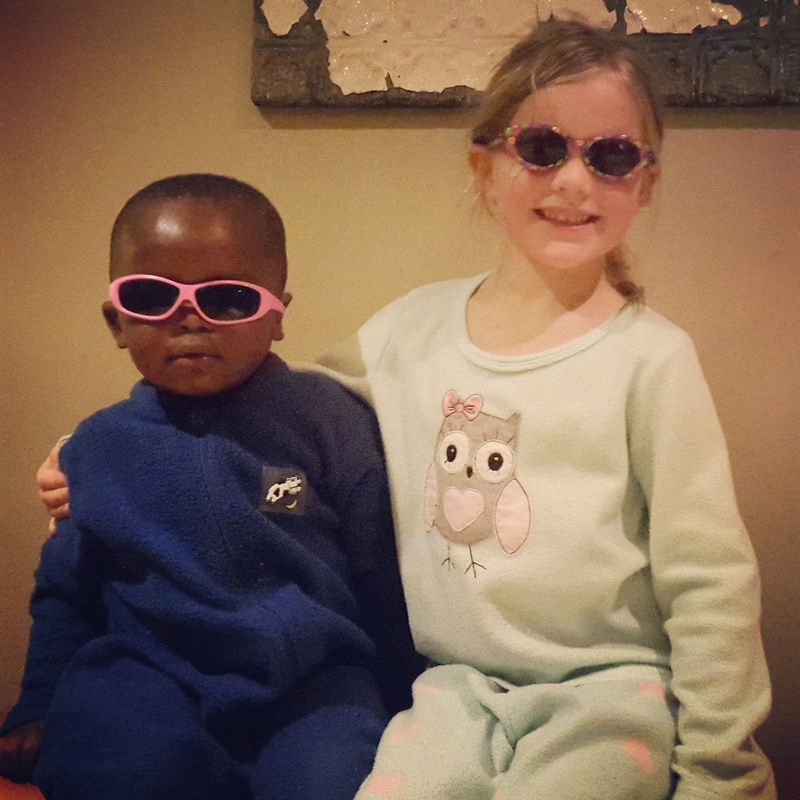 People will ask us when we decided that becoming a transracial family was right for us. Or they will ask why we chose to be a transracial family. To be honest, I don’t really think we just chose to become a transracial family. We wanted a family. To become a family we had to fill out a lot of paper work. On that paperwork, there were tons of “Yes” and “No” boxes. We carefully thought over the boxes beside criteria like, drug exposure, alcohol exposure, and cigarette exposure. However, when it came to the box for race, it wasn’t a thought. We quickly checked, “Any Race” and moved on to the remainder of our mountain of paperwork. So, I suppose you could say that was when we chose to become a transracial family, although our first time we just became an adoptive family. The second time we checked the box, we became a transracial family. I guess you could also say we chose to adopt transracially when we accepted a match with black expectant parents. To me it was never really a conscious choice. I didn’t care what my children looked like. I just wanted to be a mom and love and raise that child the best way I knew how. The second time, I felt the same way and also wanted a sibling for my oldest. My husband worried that having a child of another race might be a constant reminder to both children that they are adopted. We worked through the worry together, but I always knew that we were going to be given the children we were meant to have. We didn’t really choose to become a transracial family. We chose to be a family. Now this being said, we didn’t go into transracial adoption blindly. We did a lot of reading on the experiences of children adopted transracially. We also read up on skin and hair care. Some of the things we read were overwhelming, scary, and even heartbreaking. We still chose to adopt transracially. We chose to be the family we are. That means when I walk into a classroom, store, or playground with my son, many heads are going to turn. It also means that when I go to a new doctor’s office I might be asked if I’m his foster mom. It means I will refer to myself as “Mommy” loudly when strangers stare. And it means that I have to teach my children that not everyone in the world is accepting of us; everyone will not always view us as family. 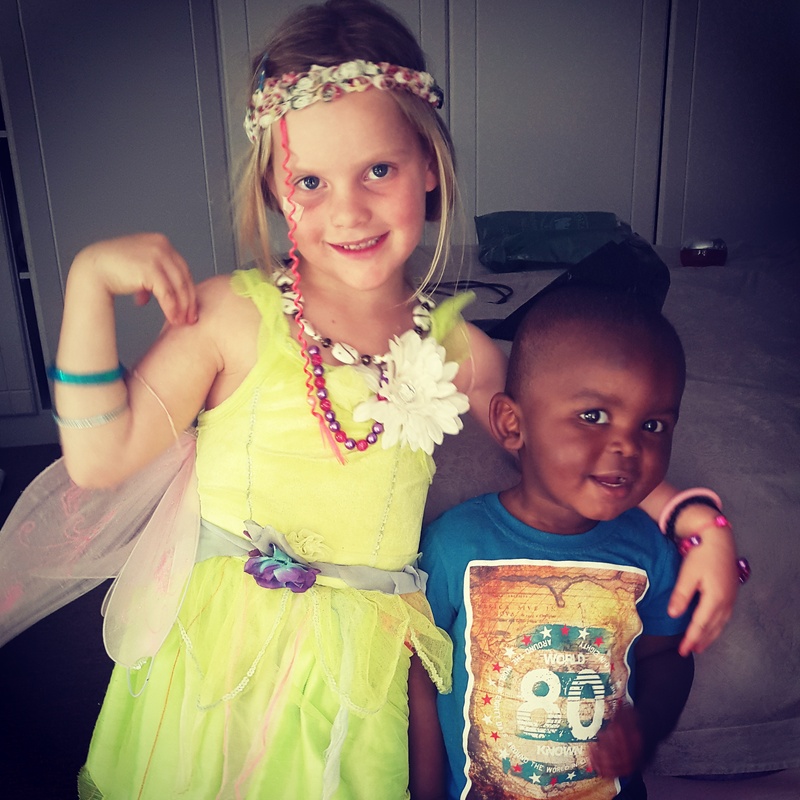 We didn’t choose transracial adoption to be special. We didn’t do it to save a child. What we chose was to be a family. We know that our family doesn’t look like everyone else’s. We know that might not always be easy for our kids. But we chose to be a family and chose to love each other dearly and go through everything together hand-in-hand. This post was originally posted on www.adoption.net.